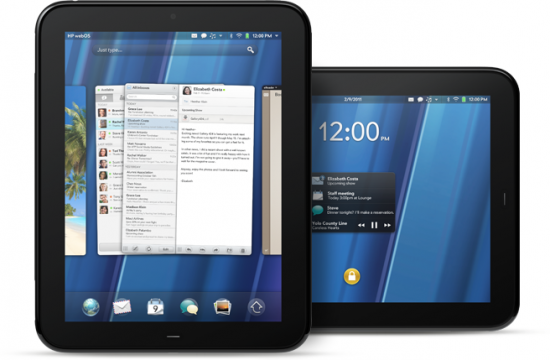 The past several days have been all sorts of crazy for webOS fans and consumers in general. We’ve seen the HP TouchPad repeatedly appear for order and HP’s insane fire sale pricing, only for the apparently small stockpiles at these retailers to sell out in a matter of hours. In fact, it seems that this kind of sell-out was a new and unexpected thing for most retailers, as practically every one has had to cancel a portion of placed orders because they somehow oversold their stock. We at PreCentral have seen orders canceled from Amazon associated onSale, Barnes & Noble, and Best Buy in the United States and Canada. Selling out of a product is not a new situation for any of these retailers. What’s new is selling out and not being able to order any more because the product doesn't exist anymore. Nobody seems to have expected lines to form for the super-discounted TouchPads, and nobody expected them to sell out in hours. Heck, we’ve got a video after the break from PreCentral reader Ian of a line of customers at a Best Buy in Manhattan waiting for their chance to buy a TouchPad. The line was at least eighty long, apparently in response to news of a shipment of TouchPads arriving for sale in the store only. So there are still TouchPads out there, and the demand is unprecedented (sans the iPad). The question is when are we going to be able to get more? TouchPads are popping up sporadically at Best Buy stores, but won’t be available online at Best Buy. HP.com has been sold out for days now, but has recently switched from “sold out” to “coming soon” with a notification sign-up, indicating that more stock is on the way. This does not mean that HP is resuming production of the TouchPad and webOS devices. Far from it. They’re clearing stock, and it takes a while. They’ve got contracts with manufacturers in China that need to be wound down, along with likely warehouses of TouchPads plus plenty more in shipment. HP will eventually sell-out of TouchPads, but in the meantime, the second wave of the fire sale is already rolling in. Source: Best Buy; Thanks to everybody who sent everything in!